SAN DIEGO, CA – October 27, 2016 https://csupalliativecare.org/. 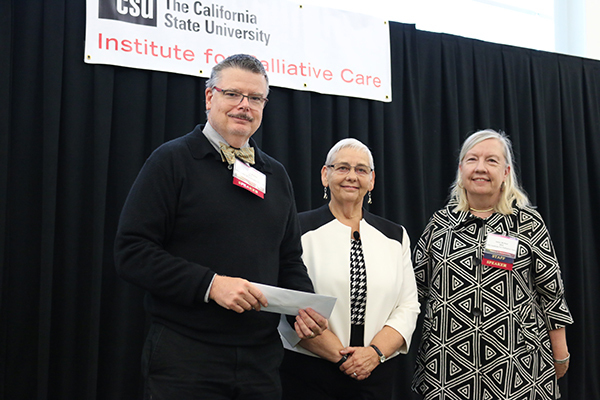 Five academic researchers in the field of palliative care were awarded $10,000 in research grants by the Gary and Mary West Foundation at the CSU San Marcos Institute for Palliative Care’s first national symposium, Engaging the Next Generation: National Symposium on Academic Palliative Care Education and Research, to advance education and research with the goal of improving care and quality of life for the country’s most chronically ill patients. The Institute received support from the Foundation to award seed grant funding worth $10,000 to provide awards of $2,000 each to academic faculty. An esteemed committee of judges comprised of researchers, academic faculty and palliative care experts reviewed more than 20 proposals, all with the purpose of advancing research and educational innovations that lead to improved care and enhanced quality of life for chronically ill patients. The five selected grant awardees will carry out their research projects over the next year and present their findings at next year’s 2017 Symposium. Amos Bailey, MD, FACP, FAAHPM, Professor of Palliative Medicine and Director of the Master of Science in Palliative Care/Interprofessional Palliative Care Certificate at the University of Colorado Denver Anschutz Medical Campus to support his team’s project, “Communications Skills Development in Online Environments: From Listening to Immersion.” The project will purchase, test and evaluate interactive software to enhance learning and retention of critical patient-provider communication skills in an online teaching environment. Lori Montross Thomas, Ph.D., Assistant Professor/ Ph.D. Psychologist, University of California San Diego and California State University San Marcos for the project, “Making Autobiographical Music: Creatively Engaging College Students in Palliative Care.” The project will teach college student volunteers how to engage chronically-ill persons to create personalized autobiographical music and assess the impact using subject’s biomarkers as well as other outcome data. Joy Goebel, RN, MN, Ph.D., FPCN, Associate Professor of Nursing and Faculty Director of the CSU Institute for Palliative Care at Long Beach and Steve Wilson, Ph.D., LCSW, Associate Professor of Social Work, to support the project, “High-Fidelity Simulation in Interprofessional Education to Improve Palliative Care.” The project will employ a simulation lab for nursing and social work students to practice collaboration, communication, and shared decision-making in stressful clinical environments. Ronit Elk, Ph.D., Research Associate Professor, College of Nursing, University of South Carolina to support the project “Culturally Tailored Goals of Care Conversations at End-of-Life.” The project will engage a community advisory group to oversee focus groups of African American patients with a serious illness, their caregivers and pastors in the rural south to explore how the patients want their doctors to communicate with them in a way that is respectful to the community and to the culture. Raeann LeBlanc, DNP, AGPCNP-BC, CHPN, of the University of Massachusetts Amherst for the project “Measuring Undergraduate Nursing Student Knowledge in Palliative Care Delivery.” The project will pilot chronic illness modules in an existing undergraduate nursing curriculum. The project’s curriculum will introduce an algorithm for nursing students to apply across illnesses to understand when palliative care is appropriate. 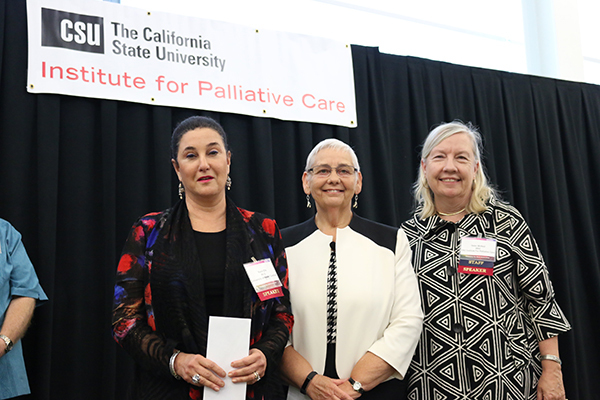 Hosted by the California State University Institute for Palliative Care (Institute) in Southern California Sept. 30-Oct. 1, the symposium brought together close to 150 faculty from institutions across the U.S. gathered to discuss challenges of engaging the next generation in promoting and advancing palliative care practice, and to connect with colleagues to collaborate and launch much-needed research efforts in this discipline. 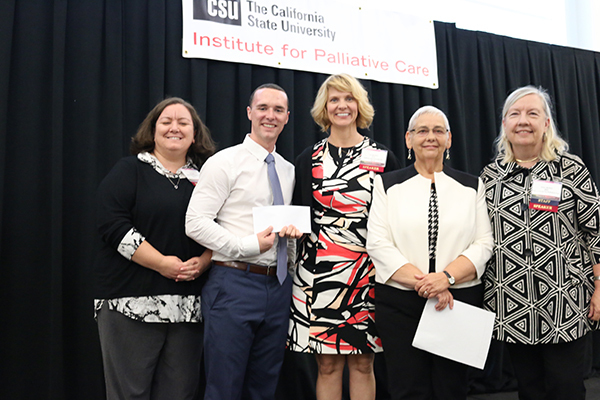 The recipients were part of a nationwide call for research proposals to faculty working in medicine, nursing, social work, communication and speech disorders and other disciplines to demonstrate new ways to improve and advance the field of palliative care, to address not only physical needs but also patient’s psychosocial, emotional and spiritual needs and optimize quality of life by anticipating, preventing and managing suffering. To achieve the transformation necessary for palliative care to become the standard practice across the healthcare system, higher education faculty and researchers need to engage the next generation of palliative care professionals with palliative care. 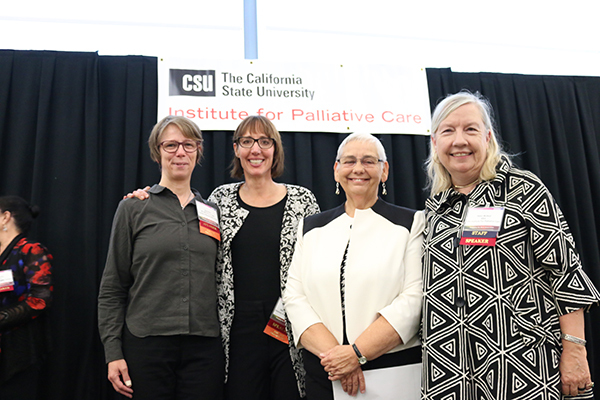 Faculty members interested in or engaged in palliative care education and research are invited to learn more about next year’s 2017 Symposium by visiting csupalliativecare.org/symposium. For further information, call the CSU Institute for Palliative Care at 760-750-4006. 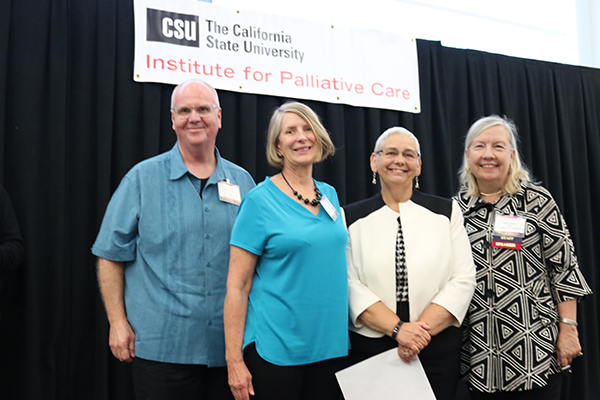 The CSU Institute for Palliative Care is dedicated to increasing access to and awareness of palliative care by educating current and future professionals as well as community members. It offers palliative care-focused professional development and continuing education courses that are enhancing the skills of current and future healthcare professionals across the country and around the world. Housed within one of the largest university systems in the United States, the Institute leverages the strength of the CSU to deliver evidence-based online and in-person palliative care education to healthcare professionals working in health systems, hospices, skilled nursing facilities, health plans, case management, and physician practices. The Institute helps organizations and professionals achieve the palliative care skills needed to meet the growing needs of chronically or seriously ill people in all care settings.